We call upon the Department of Finance to increase current direct investment in Arts and Culture thereby beginning the process of repairing the widespread damage suffered by the sector in recent years. The NCFA calls on the Government to match EU average GDP spending on the Arts. Public funding for the Arts and Culture represents just 0.11% of GDP and puts Ireland at the bottom of the European league table compared to an average of 0.6%. This submission is made on behalf of Arts and cultural organisations and individuals that form part of the National Campaign for the Arts (NCFA), a national membership organisation which articulates, champions and strengthens the role of the Arts and Culture in society and its contribution to the national economy. We present detailed evidence, examples and arguments to support each of the enclosed recommendations and would very much welcome the opportunity to discuss them further. Ireland’s independence leaders, whom we commemorate in 2016, were poets as well as patriots. Let’s recapture their spirit by putting the Arts and Culture back at the heart of our national conversation. The Arts and Culture play an essential role in rebuilding a confident future for our country – socially, and economically. And we can do so much more with the appropriate level of investment. Irish people value the Arts. 71% of adults in Ireland agree that the Arts play “an important and valuable role in a modern society such as Ireland.” Surveys show the vast majority of Irish people engage with Arts and culture. Arts attendance in Ireland is 13% higher than in Great Britain, and 9% higher than in Northern Ireland. It is time our government matched this commitment by putting the Arts at the heart of education, public policy and economic thinking. Ireland enjoys a legendary reputation around the world for artistic excellence. But government spending on Culture is far from excellent. Ireland is bottom of Europe in spending just 0.11% of GDP on culture compared to an average of 0.6%. The NCFA continues to take part in the consultation process in relation to Culture 2025. We believe that Ireland’s investment in Culture and the Arts defines us as a nation and demonstrates what it is we value. Arts and Culture enrich every aspect of our lives. diplomacy and Ireland’s world standing. The Arts work at the heart of communities and are an engine for wellbeing and cohesion. It also powers economic growth. Innovators and entrepreneurs are attracted to creative, cultural, beautiful places. This is a large part of the reason why multinational companies are driven to invest in Ireland and in Dublin in particular. Whilst we understand that the Government has various priorities, we strongly believe that the continued cuts to Arts and Culture have been deeply counter-productive over the past number of years. We demand decency, fairness and cross-departmental communication to address issues of working and living conditions of artists. We support Arts Council action on its Strategic Review Group and Departmental action on the development of a national cultural policy: Culture 2025. However alongside this we condemn the impact on smaller organisations and individuals of massively reduced funding to the sector. Investment in the Arts sector gives us leverage to attract philanthropy and grow income from other sources, while providing the stability necessary to innovate and take risks while stimulating local growth in the process. Each of the following recommendations will make a difference to the national cultural ecology, but the implementation of the two main recommendations below underpins and is essential to their success. We want a non-physical infrastructure that allows every region to celebrate and grow cultural and creative talent, and to support the creation of new creative clusters. The investment in physical infrastructure through the ACCESS scheme, while broadly welcomed, has not resulted in the creative clusters that it could, due to a lack of ongoing investment in the Arts community itself as opposed to simply the built infrastructure. We need investment in the work of Arts practitioners nationally and regionally in order to prevent further heemorraging of our creative best to other sectors and overseas. 1. We call upon the Department of Finance to increase current direct investment in Arts and Culture thereby beginning the process of repairing the widespread damage suffered by the sector in recent years. An re-investment of €30 million in the Arts Council directly for 2016 would ensure the growth of the national cultural ecology. We believe that investment through the Arts Council is the most effective and efficient way of re-igniting the sector. This initial investment will accelerate economic growth and enable cultural organisations to become commercial contributors to their communities in the long-term. 2. 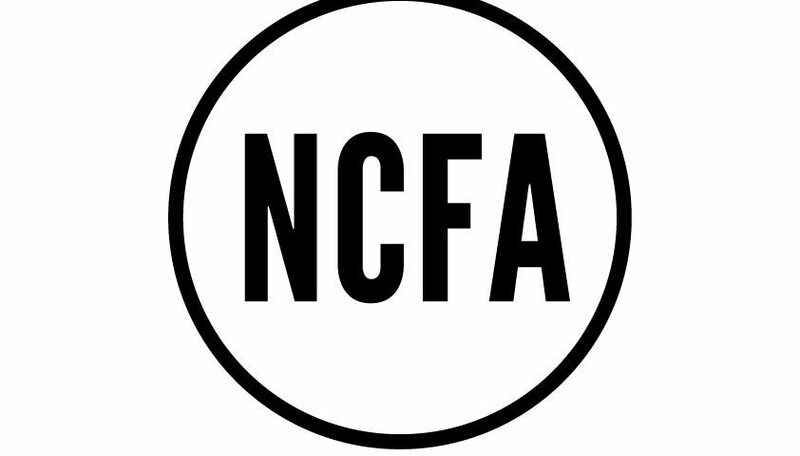 The NCFA call on the Government to match EU average GDP spend on the Arts. Public funding for the Arts and Culture represents just 0.11% of GDP and puts Ireland at the bottom of European league tables compared to an average of 0.6%. Our Creative Industries are thriving and are delivering sustainable jobs and considerable exports. Despite the considerable potential of the Cultural Industry sector, estimated to be responsible for over 3% of the EU’s gross domestic product and jobs, they remain undervalued and unrecognised, especially in terms of their ability to access start-up capital and financing. Public investment in the Arts and Culture, coupled with an education and learning system that values Arts and creativity, are critical to the success of these industries. Lottery funding should be separate to core government spend on the Arts via the Council. As in the UK, the implementation of two separate sources of funding could serve very different purposes – with grant-in-aid providing the backbone of the sector and Lottery funding filling the gaps – such as supporting capital, training and special projects. Local Authorities are core partners in Arts and Culture. Many significant and effective projects, people and organisations are financially supported by Local Authorities. We condemn the widespread lack of collaboration and planning within local authorities between Arts and other departments to resolve ongoing issues of provision and access. From a Red C national poll conducted by the NCFA, we were able to show that the Irish public are deeply supportive of the Arts and expect more be spent on Arts locally. The Arts Council reported a total net expenditure on the Arts by local authorities of EUR 28.5 million in 2011 – a reduction of 27% on the 2010 spend of EUR 39.3 million. We recommend that government begin re-investment in Local Authorities over the next five years. The Arts budget is currently listed as ‘discretionary’ spend in local authorities, which means it is under constant pressure from other departments. We believe that culture is a vital element in the regional growth agenda and that cultural organisations can, and do, make a significant contribution to local enterprise and are not being supported as they should be through local Enterprise boards and LEADER funds. We need the next generation of creative young people to be engaged citizens, to imagine solutions to our problems and to be the flexible, innovative workforce that the creative, digital and wider businesses need. We know access to the Arts and culture builds much needed cultural capital and that early family exposure and engagement with the Arts gives young people the best possible life chances and the best chance of social mobility. Government investment of public money in the Arts and education comes with the same responsibility to open opportunities for all citizens to learn to live in a world that embraces fairness, decency and respect for difference. Schools and teachers are our essential partners in the delivery of cultural learning and are a critical part of the national cultural ecology; often providing the only access to the Arts to young people who do not have this access at home. Indeed, simple drawing is normally the only unpaid access that Primary School students have throughout their 8 years in school to the creative Arts. We are sorely lacking in European terms, in that drama and dance in particular are not offered at second level. Given the extraordinary and confidence building transformative effect on teenagers that drama/dance can have, it is unfortunate that there is no provision for it in our education system. We support the action by National Council for Curriculum and Assessment and initiatives such as the current consultation on Junior Cycle Art, Craft and Design Review. However we condemn the lack of action on primary school teacher’s call for more training and support in these areas. Current Government policies focus on science, technology, engineering and mathematics (STEM) as the core subjects for tertiary education. There is a growing body of research showing that in this educational matrix the exclusion of the Arts means that creativity, the most important element in educating the next generation of self-starters, is lost. We support the recent allocation of research funding to the Arts via the Irish Research Council as an effort to think STEAM (Science/Technology/Engineering/Arts/Maths) not STEM. However we condemn the impact of policies that have seen creative and performing Arts students struggle and be forced to drop out of third level having secured places because of short-termism in the withdrawal of grants and services in the last 5 years. For the Arts and creative industries to thrive we need an excellent digital infrastructure and strong national publicly funded broadcasting partners. Continued superfast broadband rollout in rural areas will enable smaller creative businesses to grow. Public service broadcasters provide a platform for excellence, showcasing both the cultural and creative work of everyday artists and participants working in their own homes and communities, and the best of our funded national offer. Broadcasters have an important role in working in partnership with the sector and in amplifying the impact of public investment in culture. A complex funding ecology supports the Arts and Cultural sector including: national public subsidy (chiefly grant-in-aid via the Arts Council and occasional direct funding from the Department of Arts), funding from local authorities, philanthropy and earned income from commercial endeavour. Each essential funding source serves to attract, leverage and enable the others, but public investment underpins all – giving organisations the stability to take risks. The sector has faced massive overall financial cuts over the last few years. grant-in-aid for the Arts distributed through the Arts Council fell by over €30 million in cash terms from 2009/10 to 2013/14. This equates to more than a third of core national Arts funding being lost. This paper was drafted by colleagues from across the National Campaign for the Arts membership; which involves hundreds of Irish Arts and Cultural professionals and organisations representing over 20,000 individuals working directly in the sector. Department of Arts, Heritage and the Gaeltacht draft policy Culture 2025.